user-inactivated · 301 days ago · link · · parent · post: Hubskiers, what was a product that was a good idea at the time, but failed for one reason or another? I humbly submit the Tapwave Zodiac and the Nokia N-Gage. One was a PDA meant to be a gaming machine, the other was a Cellphone meant to be a gaming machine. Both suffered from some questionable design choices, but ultimately they failed for a lack of consumer interest and an almost non-existent game library. ...because nobody had ever come up with a portable gaming device before? The Tapwave and N-Gage weren't "a good idea at the time" they were inadequate, derivative attempts to cash in on the dominant trend in portable electronics. They didn't even fail the most awesomely. 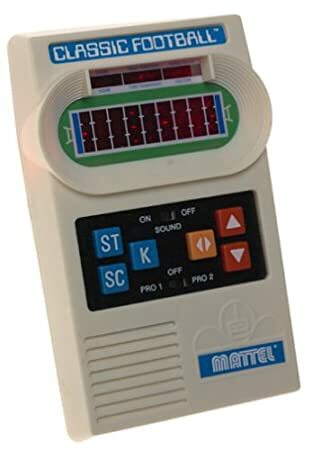 I'm aware of prior handheld video games, from Football and Basketball, to classic TIGER and Game&Watch LCD Games, to the Game Boy, Game Gear, Lynx, and Sega Nomad. I'm also familiar with the The Tiger GameCom, Neo Geo Pocket, Wonderswan, and the open source GP32 (which still sounds awesome to this day), as well as the Gizmondo. I chose the Zodiac and the N-Gage because they were two devices that tried to combine two different core functions. One a PDA that doubled as a game centered device, the other a Cell Phone that doubled as a game centered device, which again, seemed like a good idea. Unfortunately, both suffered from design problems and limited libraries, and as a result, suffered lackluster sales. The Gizmondo, while still technically having a GSM antenna, was at it's core a gaming only device, which is why I left it out. But yes, that machine was an embarrassing failure. I'm still waiting patiently for The Phantom to come out. Edit: Dude, this is a crazy article. Thanks for sharing it. Edit 2: Going back and double checking the specs, it looks like the Gizmondo was treading similar territory as the Zodiac. So it fits as another good idea, bad failure.